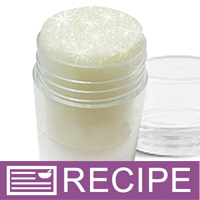 Create this shimmer stick for cheerleaders or dancers to keep skin moisturized and add that touch of glitz to their routine. 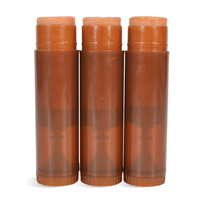 Cheerleaders and dancers will love this shimmer stick. It's made with a special form of beeswax, shea butter, and glitter. The beeswax keeps it hard, the shea butter allows for spreadability, and the glitter adds the shimmer. The clear push up packaging has a screw top, which stays secure in travel bags. The clear hard plastic of the packaging is appealing and durable, and will help this product fly off the shelves of your next craft show. You Save $4.45 by purchasing this kit rather than buying the items separately. COMMENTS: First of all, I LOVE the end product this kit produced. They are great! However, I have some issues with the kit itself. It's a small batch. A lot stays in the pan. Kit page should state that a microwave cannot be used for this. In my Lab I do not have a stovetop, however, I do now have a hotplate. COMMENTS: Love love love the idea of this and it was very easy to make, but maybe I did something wrong? It doesn't glide on the skin. I see other reviews rave about this item. It's probably me. COMMENTS: What a great kit to try out! We will definitely be making more. The instructions were clear and easy to follow. The end result has been so much fun to wear! We particularly liked that this kit does not come with a scent allowing the shimmery lotion to be worn with other perfume. We added white mica powder along with the glitter - entirely by accident - and it gave us a lovely result! "I made this product buying the ingredients separately. Instead of the glitter I used about a tablespoon of Ivory Lace Sparkle Mica Powder. Everything else was exactly the same. I have found this recipe does not glide on easily. I gave away several sticks of it and nobody likes it because it is too hard. How can I make this a little softer? Thank you!" "I tried the shimmer stick kit for the first time. My sticks came out hard, with no "glide" on skin...wondering what i did wrong. I am new to the "lotion bar/stick" concept and not sure what it's supposed to feel like going on, but am thinking it shouldn't be that hard...not sure i can use it as is now. Anything i can do to fix this? 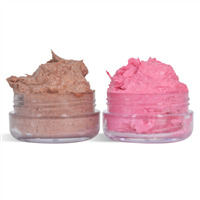 Can I scoop out the sticks and add something to make them softer, creamier for more glide on skin?" 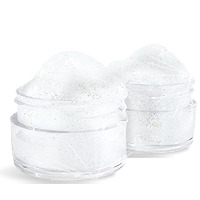 Staff Answer This is not a lotion bar but just a product that puts shimmer on the skin. It has enough glide to rub the glitter onto the skin. To make this product softer, you can add more shea butter. "Is it possible to add color and fragrance to these shimmer stick! And if so how much for each?" Staff Answer For Fragrance we recommend adding 1% - 1 ml. or 2% - 2.5 ml. for 4 oz. We have not tested this with added color ourselves, but you could certainly add some.